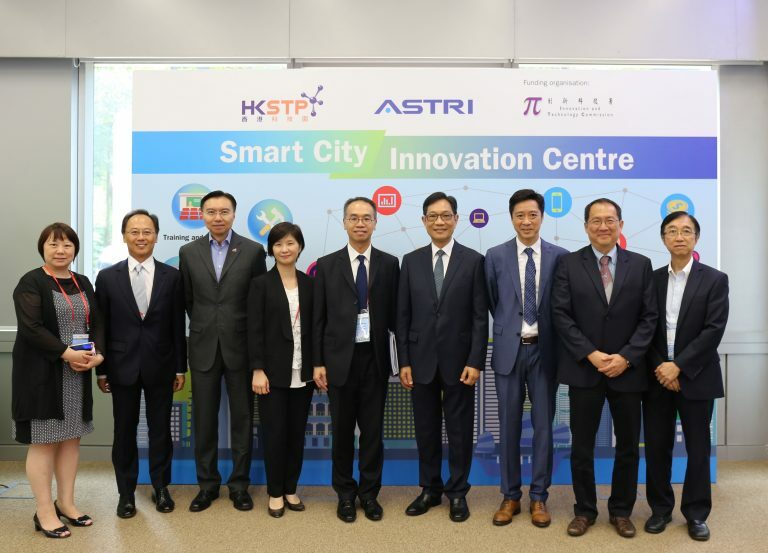 On Thursday, 27 July 2017, Hong Kong Applied Science and Technology Research Institute (ASTRI) and Hong Kong Science and Technology Parks Corporation (HKSTP) held a soft launch ceremony of the Smart City Innovation Centre (SCIC) at the ground floor of Photonics Centre in Hong Kong Science Park. 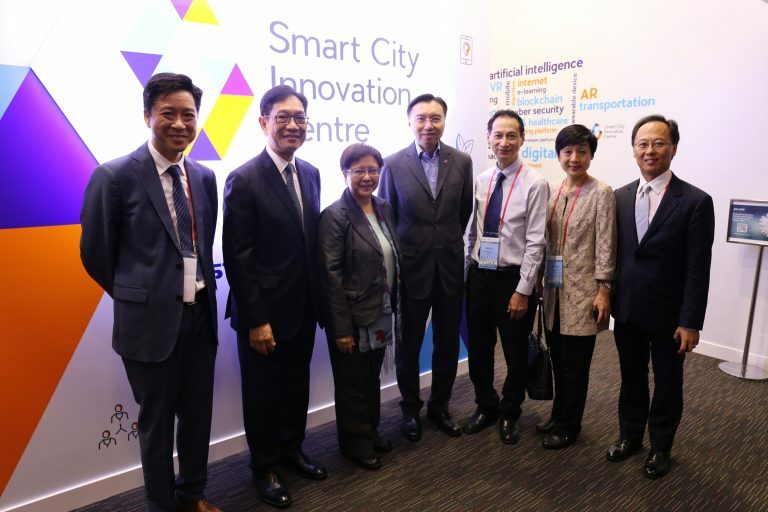 Developed jointly by ASTRI and HKSTP with financial support from the SAR Government’s Innovation and Technology Commission (ITC), it has the state-of-the-art infrastructure to facilitate R&D and innovation for smart city solutions. 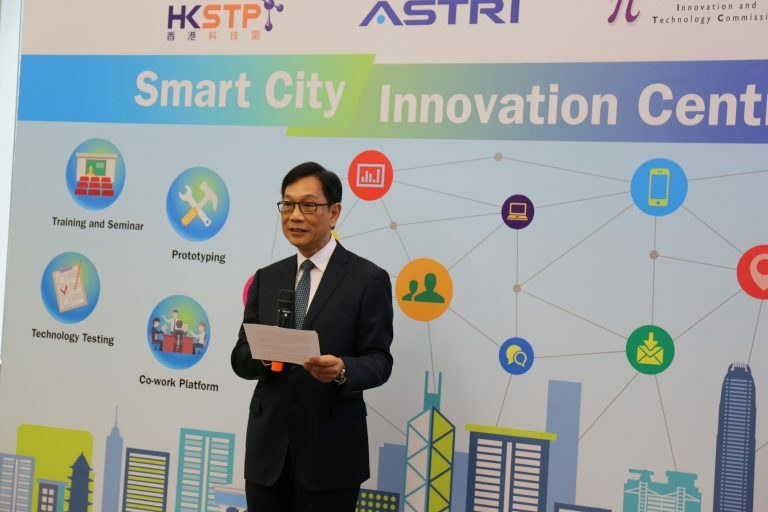 Mr Wong Ming-yam – Chairman of ASTRI Board of Directors and Mr Albert Wong Hak-keung – Chief Executive Officer of HKSTP addressed the guests in a small ceremony at the Centre. 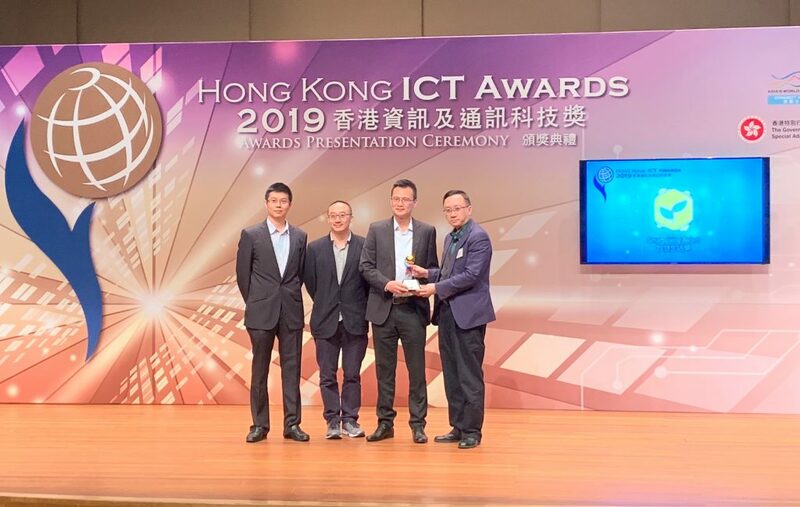 Mr Wong Ming-yam in his speech hoped that “the SCIC will pave the way for researchers, start-ups and industries to try new ideas and contribute to breakthrough innovation.” With its modern infrastructure and facilities, “the Centre should lead to strong public-private collaboration to facilitate the development of innovative smart city solutions for Hong Kong, and possibly beyond,” he added. 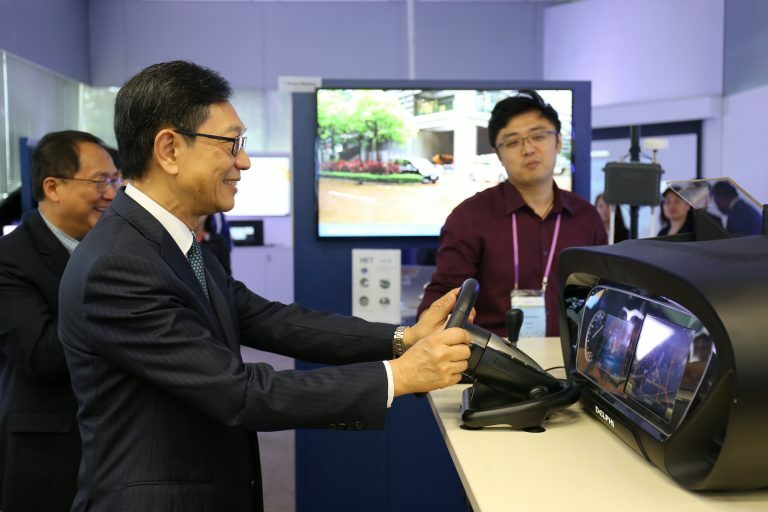 In his speech, Mr Albert Wong said, “Hong Kong is at the cross-roads of a new era of economic and technological transformation that offers a world of potential.” He commented that “Hong Kong must not miss out on the opportunities available in the new world order”, especially in terms of regional and transnational collaborations. 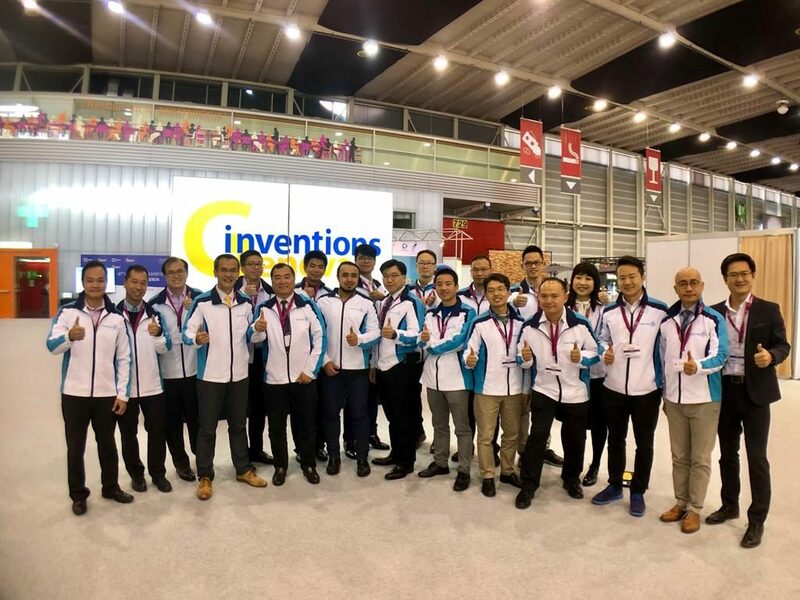 “We are proud to be associated with the SCIC and hope that it will lead to meaningful, revolutionary innovation,” he said. 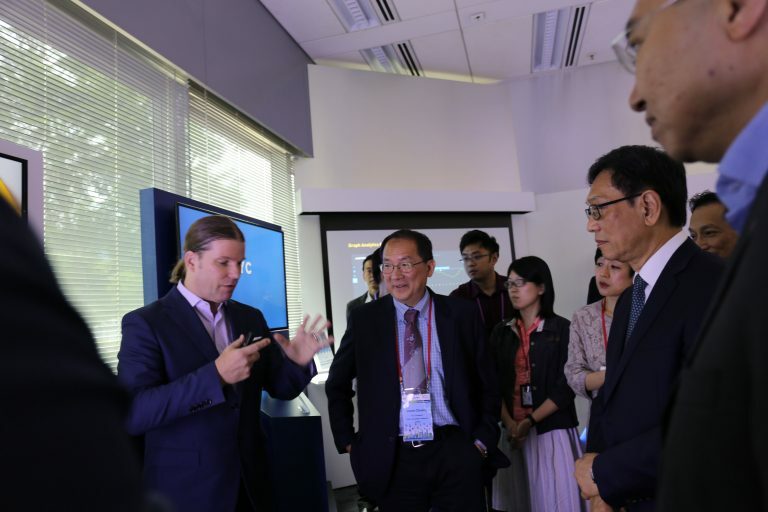 The SCIC will offer a common platform for R&D professionals, technology companies, business enterprises, start-ups and public service providers to test and develop innovative solutions using Internet of Things and other Information and Communication Technologies. 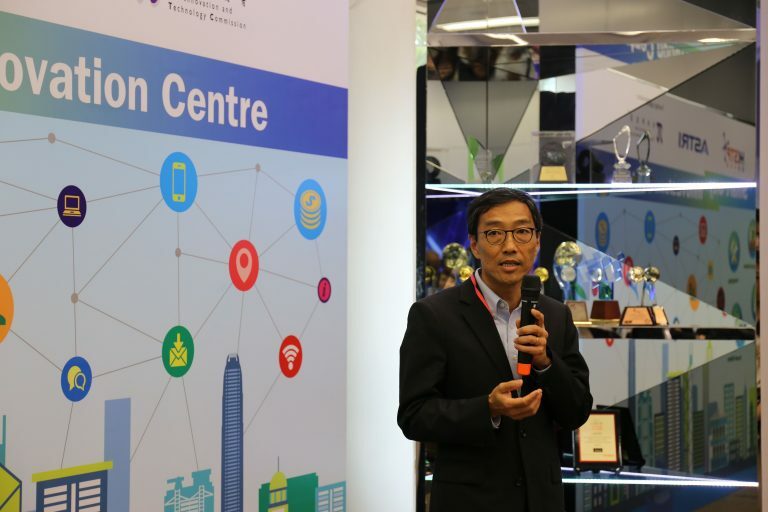 From FinTech to 5G, smart governance to smart living, connected cars to citizen services – a wide range of Smart City applications will be explored in the Centre. 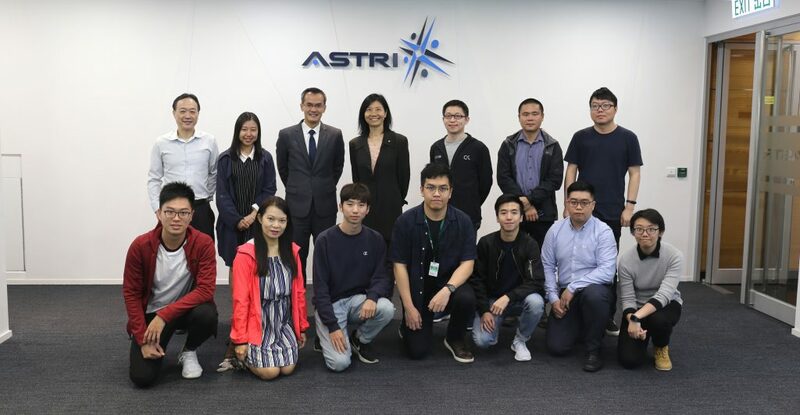 Officials from ITC, Board Directors and senior executives of ASTRI, senior officials of HKSTP, representatives from SCIC’s partner organisations attended the ceremony. 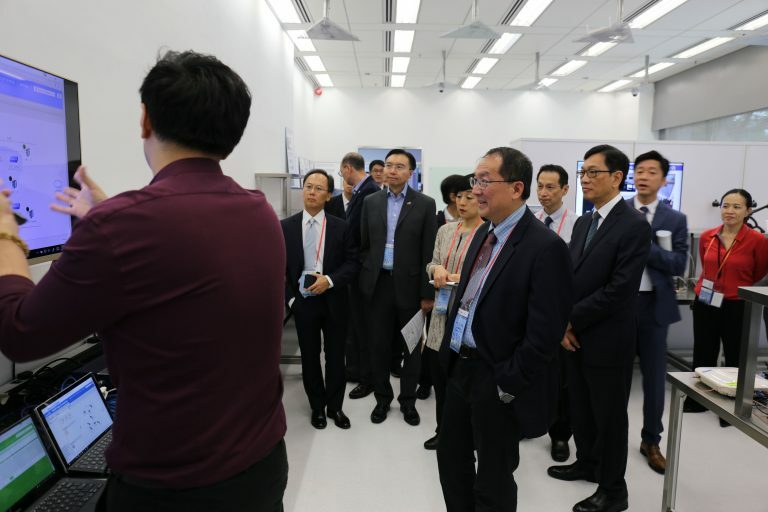 Guests had an exclusive tour of the Centre to learn about its facilities and the R&D focus areas. After a period of provisional test-run, the SCIC will be formally launched to the public in near future. Officials from ITC and business partner organisations join ASTRI’s Board members and senior executives at the SCIC soft launch ceremony. 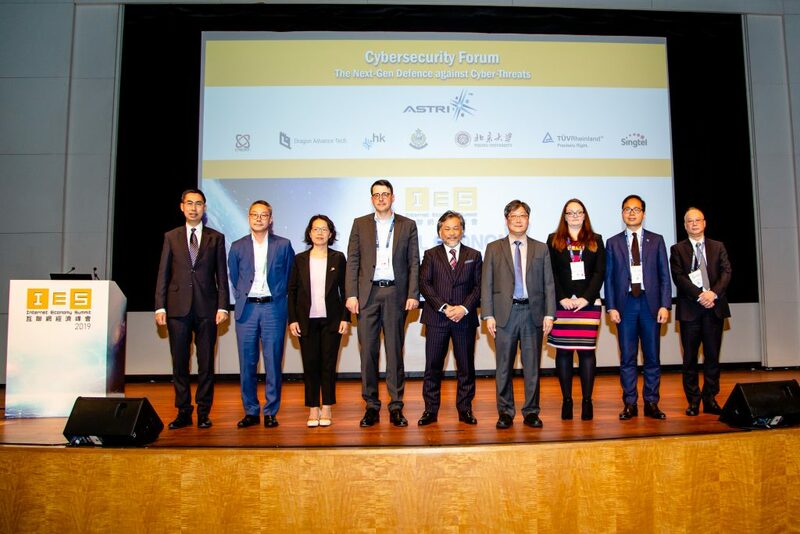 From left: Ms Cammy Yung, CFO of ASTRI; Mr Tony Choi, Board Member of ASTRI; Mr Sunny Lee, Board Member of ASTRI; Ms Alsa Choi, Senior Manager (Infrastructure) of ITC; Mr Johann Wong, Deputy Commissioner for Innovation and Technology of ITC; Mr Wong Ming-yam , Chairman of ASTRI; Dr Meikei Ieong, CTO of ASTRI; Dr Justin Chuang, VP (Next Generation Network) of ASTRI; Mr Alan Kan, Managing Director of Clever Motion.